Vacant storefronts still dot University Avenue, but Green Line boosters say the light rail project has fueled job growth and new housing along the corridor linking Minneapolis and St. Paul. More than a dozen nonprofits that worked to shape the project issued a final report card Friday and celebrated what they said were some notable success. Metro Transit general manager Brian Lamb told a coalition of nonprofits in Minneapolis that the $1 billion train line is more than a decade ahead of ridership projections. "Since the Green Line opened, more than 25 million people have taken a ride on the Green Line," he said. "We are at the level of ridership that we were projecting for the year 2030." The route has had some success off the tracks, as well. The Metropolitan Council said this year there's been $4.2 billion in real estate investment along the line, although not all of it may be a result of the train. Peter Mathison, a research associate with the Wilder Foundation, said jobs along the corridor are up 3 percent over 2009 — especially on the stretch between Lexington Parkway and downtown St. Paul. Efforts to keep the neighborhoods along the line affordable are mostly succeeding, Mathison said, although rents have been rising. But that doesn't seem to be keeping people away, he said. Population along the corridor has increased 14 percent since 2010, Mathison said. That's good news for the Central Corridor Funders Collaborative, the 14 nonprofits that put $12 million into the project and neighborhoods along the rail line. They pushed for minority employment on the project and helped businesses cope with construction. They also wanted to keep the project from tearing down the neighborhood, like the construction of Interstate 94 did in the late 1960s. However, the findings aren't all rosy. Research also found the number of small businesses along the line have fallen since construction started. And state figures also show employment has risen faster elsewhere in the Twin Cities. The benefits of transit can be hard to pin down. 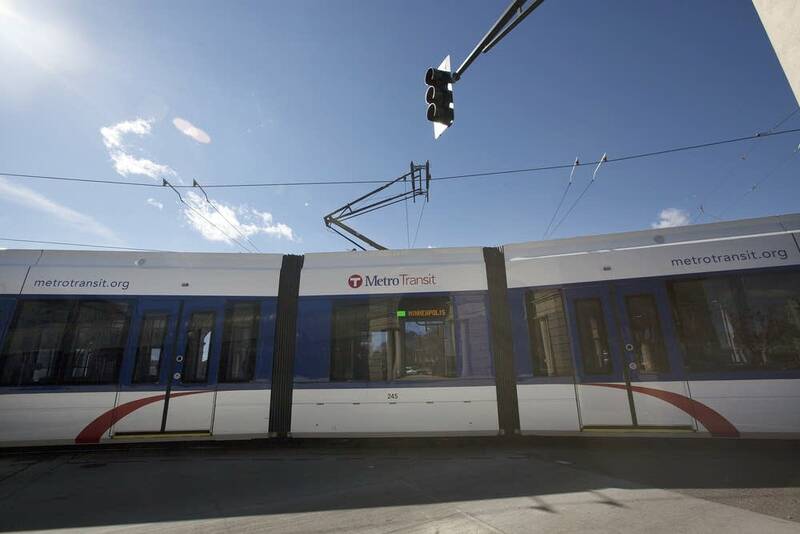 Macalester economics professor Sarah West and researcher Needham Hurst recently found that Metro Transit's Blue Line had a development impact that was minimal compared with the rest of Minneapolis. West and another researcher, Clemens Pilgram, have followed up with a second study, looking at home prices near Blue Line stations. West says they were looking for other potential impacts of transit. The preliminary results, according to West: "During the first years after introduction, homes that were closer to stations cost about 4, 5, 6 percent more than homes in south Minneapolis that were farther from stations, and that's controlling for all the other things that can affect home prices." A few years later, though, West says that effect went away. She says the Green Line has a different economic context, and may have a better result. But she also noted that the construction followed the Great Recession, and the overall apartment market has improved and financing got easier at the same time the trains finally got rolling along University Avenue. "This kind of economic activity that's occurring say along University Avenue could very well be due to the recovery in real estate markets, and not attributable to the line," she said. She says it will likely take many more years before the real effect of transit investment comes into focus.